This stone has been found in Germany in 1977 or 1978. 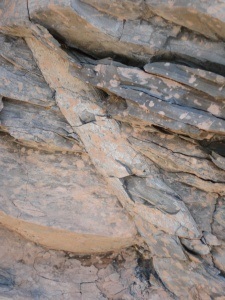 The photo shows clearly how the stone has been built up from several layers. Why is this topic important for the Christian faith? In the first place because of the chronology in the Bible. In Genesis 5 is told how old Adam and his descendants were when their child was born. In this way we can add up the obtained numbers. When we connect those with other data about the time (e.g. 1 Kings 6: 1, where a period of 480 years is mentioned), then we arrive to the conclusion that Adam lived about 4000 years before the beginning of our era. But many scientists calculate with an evolutionary theory, in which the life on earth has begun already millions of years ago. These scientists base their chronology especially on the radio-carbon method and similar methods, such as the K-Ar method. So it is useful that we examine whether these methods are reliable. Fortunately there are many good articles findable which concern that topic. Also many books have been written about it, such as "C14-Crash. Das Ende der Illusion, mit Radiokarbonmethode und Dendrochronologie datieren zu können" (408 pages) of Christian Blöss and Hans-Ulrich Niemitz, and "The mythology of modern dating methods" of J. Woodmorappe. What is the radio-carbon method? For a better understanding of this it is helpful to know at first something of the structure of earthly matter. Matter has essentially three forms: solid, liquid and gaseous. Water for example is solid when it is ice, is liquid when it is simple drinkable, and is gaseous in the form of water vapor. But also iron, to give another example, can become liquid in great heat. The matter is made of molecules: The smallest particles of a given substance. The molecules of a composite substance consist in their turn of atoms. Thus each water molecule contains 2 hydrogen atoms and 1 oxygen atom. When the substance is not composed, such as carbon, then the molecules are identical to the atoms. 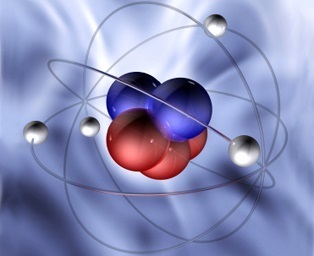 Atoms are again divided into protons, neutrons and electrons. The protons and neutrons are in the nucleus of the atom. The electrons circle around that nucleus. 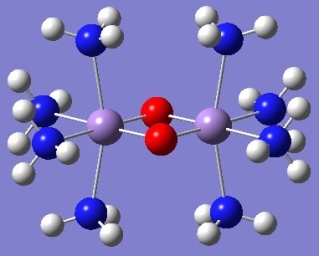 Picture 1 of these 2: Representation of a molecule. Each ball is an atom. Equivalent atoms have the same color. Picture 2 of these 2: Representation of an atom. The red balls are the protons. The blue are the neutrons. And the white are the electrons. Carbon has in its nucleus normally 6 protons and 6 neutrons. We speak therefore of C12. There is however also a form of carbon consisting of 6 protons and 8 neutrons. This form we call C14. We call C12 and C14 isotopes, i.e. forms of the same substance. In the air is much more C12 than C14. There is (approximately) 800.000.000.000 times more C12 than C14. C14 is not a natural substance, but is indirectly produced by cosmic rays in the upper layers of the atmosphere. There these rays impinge on molecules that occur there. Through those collisions neutrons are knocked away from their atoms. The neutrons that fly away collide for their part with nitrogen atoms with 7 protons and 7 neutrons (N14), by which they lose a proton and swallow a neutron, changing into C14. The plants and the trees absorb carbon dioxide from the air, that besides oxygen consists of carbon. And the animals and the people eat in their turn vegetable food. Through this the plants, the trees, the animals and the people get the same C14 - C12 ratio as the air. C12 is stable, but C14 in his turn slowly falls into N14. This goes however very slowly. It takes 5730 years before half of the C14 has been expired. Then (if there is indeed so much time), it takes another 5730 years before that half has been expired for the half and so there is only one fourth left of the original amount. Therefore we say: The half-life of C14 is 5730 years. (Other substances such as uranium have other half-lives). If a plant, tree, animal or man is dead he does not accept air and food anymore. By that the concentration of C14 in the remnant becomes less and less. And how do they want to determine the age of fossils now? By measuring how much C14 is still left in the fossil. But is that possible? 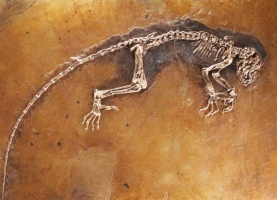 Picture 1of these 4: Fossil of a half-ape species, which is now extinct, but resembles a lemur. 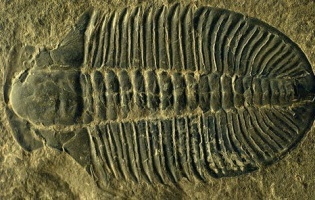 Picture 2 of these 4: Fossil of a trilobite, also extinct. 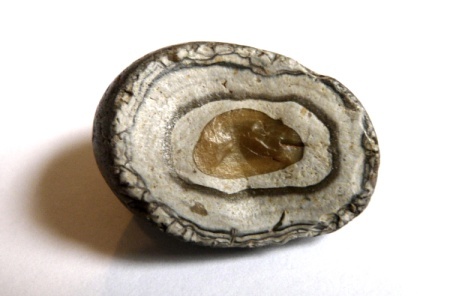 Picture 3 of these 4: Fossil of a fish. 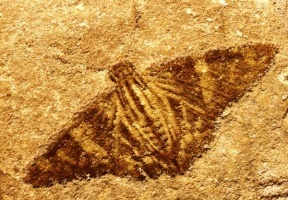 Picture 4 of these 4: Fossil of a butterfly. The Achilles heel (that means: the fragile and unreliable element) of the radio-carbon method and other methods that are based on radioactive decay is the fact, that one can not know how the ratio of the isotopes in the fossils and stones was at the time of their creation. To stay at the radio-carbon method: It is usually presumed that that former ratio was (approximately) equal to the present ratio of C14 and C12 in the air, the plants, the animals and the people. But there are many indications that that former ratio was quite different! Why different? 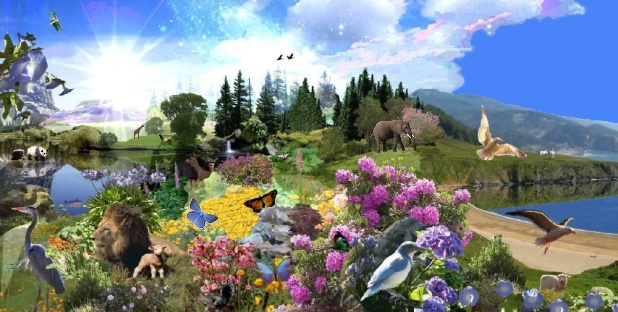 In the first place it is highly presumably that the first humans, animals and plants in the Paradise had still nothing of the unstable C14 in themselves, shortly after the creation. Did not God make everything very well? That means no unstable substances. In the second place: The C14 content in the air also depends on special events, such as eruptions of volcanoes, the Biblical Flood, the composition of the plant world in a certain time, and the amount of cosmic radiation reaching the earth. And that is dependent on the activity of the sun and the amount of electromagnetic solar wind in the path of the earth, when the solar system travels through the Milky Way Galaxy. Because people do not know the initial ratio they get the largest deviations! An example: In New Zealand they examined solidified lava. They knew that the lava came into being in 1949, 1954 and 1975. With the K-Ar method (K = Potassium and Ar = Argon) they calculated the age. They arrived then at 270,000 to 3,500,000 years! So nothing is correct here! Another example: In Australia a wood fragment was found. With the radio-carbon method they calculated the age: about 45,000 years. But with the K-Ar method they got the age of 45 million years! So it is possible to full books writing about the unreliability of these methods for determinating the age! When an archaeologist goes to a laboratory to have to determine the age of something, he has to fill out a form. On that form he is usually asked what age he expects approximately. Results that deviate too much from what is expected are very often rejected. But that is no longer objective science! The afore-mentioned J. Woodmorappe has examined 500 scientific articles about determinating the age with the half-lives. He finally concluded that these datings are swarming with circular arguments and myths, to get connection to the preconceived ideas of the researchers. The results of his study have been recorded in the aforementioned document ("The mythology of modern dating methods"). How sad is it that just these unreliable methods are used to refute the reliability of the Bible! And then there are the so-called polystrate fossils (often of trees), that is: fossils that pass through different rock layers vertically, while people have given a very deviating age to those rock layers (in relation to each other). As if those trees stood in an upright position for hundreds of thousands or millions of years, while they were slowly buried by the next layer. This of course can never be! 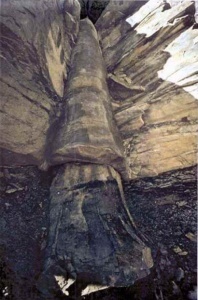 Polystrate fossils of trees, which pass through different rock layers. But the Biblical Flood gives a good explanation. When the water of the Flood sank several earth layers fell down on each other, the heaviest first. And it is also clear for a long time, that earth layers can harden to stone in a relative short time, when the conditions such as pressure and temperature are appropriate for that. You can read more about fossils and the Flood in the section of the Frequent Asked Questions (when ready in English), namely in the answer to question 4. 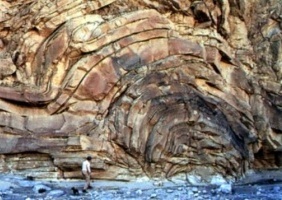 Petrified earth layers which are bent together. 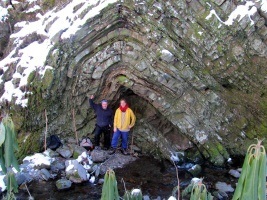 If they would have been created millions of years after each other, they would have been petrified already a long time before the onset of the next layer. Then they can never be bent together. Therefore they must be formed in the same time. Suppose that in humans, animals and plants none of the unstable C14 was present shortly after the Creation (because God had created everything very good) and that an archaeologist examines a fossil from that period. Then he will not find C14 in the fossil. And then he will probably say: "This fossil is at least more than 60,000 years old. For the amount of C14 is not yet measurable and therefore run out." His conclusion is however wrong then, because that amount of C14 was never measurable, because it never existed! Thus people go into the mist easily (that is: make a wrong conclusion) with the radio-carbon method and similar methods. Let us therefore adhere the Bible and hold the biblical chronology for reliable. Finally the biblical history accords in countless respects with the world history, as one derives that from ancient manuscripts and other archaeological finds. Why is the chronology further important to the Christian faith? People who want to consider the Bible as unreliable, are also claiming that the biblical stories are invented for a large part. For (according to them) thousands of years these stories were passed on orally. What the people did not understand in those ancient times they adapted already soon, and they liked to make the stories more and more beautiful. Only in the last centuries before our era they began to write down the things. But is that right? By the finding of more and more manuscripts from the antiquity they more and more understood, that mankind already over 5000 years knows the art of writing down things. Since Adam became 930 years it is quite possible, that even he had already (in his long life) a certain art of writing! So special is not that. The people soon learned namely, that they could make drawings with a stick into the ground. Through that they could explain something to each other. The next step was, that they reserved a specific character for each sound (at least the sound of the consonants). 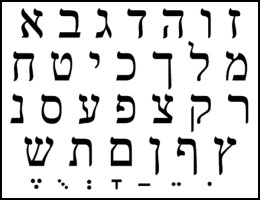 Alef, Bet, Gimel, Dalet, He, Vav, Zayin, Het, Tet, Yod, Kaf, Lamed, Mem, Nun, Samekh, Ayin, Pe, Tsadi, Qof, Resh, Sin, Shin and Tav. But where do these names come from? Mem = water, Nun = snake, Samekh = fish, Ayin = eye, Pe = mouth, Tsadi = papyrus, Qof = monkey, Resh = head, Sin = tooth en Tav = sign. Shin has been skipped in this last list. But that is because Shin is almost identical to Sin. Only one point on the letter is different (at least: In later versions of that alphabet). Originally it was one letter. And that letter was pronounced differently in later times. Think of "sibboleth" and "shibboleth" in Judges 12: 6. Those who only could say "sibboleth", revealed through that they came from another region. And therefore they were killed (because the men from that region wanted to burn Jephthah and his house with fire). By the way: In this modern age we are still working with a similar method. If we for example want to spell the word "house", we can say: The H of Harry, the O of Oliver, the U of Uncle, the S of Samuel and the E of Edward. This is the so called telephone alphabet. 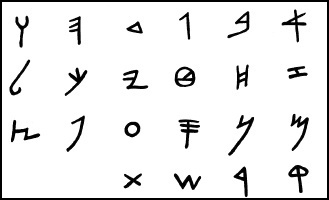 So in ancient times they had in fact also a telephone alphabet. Initially however they had added drawings. They could for example draw a house to indicate the B of Bet (= house). In later times those drawings were simplified and they had only to draw a few lines to indicate such a letter. Thus the human penmanship developed! And the Bible also bears witness to the art of writing. We read for example in Exodus 17:14 (King James Version): "And the LORD said unto Moses, Write this for a memorial in a book, and rehearse it in the ears of Joshua: for I will utterly put out the remembrance of Amalek from under heaven." 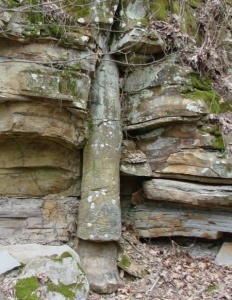 Later on God wrote His law on two slabs of stone. And the assertion of some scholars, that at that time only few people could write is not correct too. All Israelites had to write God's law on their doorposts! (Deuteronomy 6: 9). It is further plausible that the people could read and write already much earlier than in the days of Moses, when we pay attention to all archaeological finds. Of course already soon there were different ways of writing in the antiquity. After the Flood, when they built the Tower of Babel (Genesis 11), God confused the speech of the people, so that they did not understand each other. They were separated then and settled in different countries. In those countries different writing methods developed. Thus arose the cuneiform script in Mesopotamia and the hieroglyphic script in Egypt, etc. 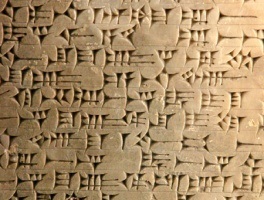 The cuneiform script has been created from an image script. And if one looks at the hieroglyphic script beautiful and clear drawings are often still seen, e.g. of a bird, a man or a certain object. Picture 1 of these 4: The letters of the Hebrew square script. Picture 2 of these 4: The letters of the ancient Hebrew script. Picture 3 of these 4: Cuneiform script. 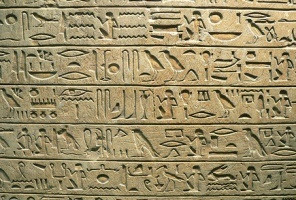 Picture 4 of these 4: Hieroglyphic script. In short: Already very early in human history people could read and write. So there is no reason to believe, that the Biblical stories were passed on orally thousands of years at first. And the story of the Creation? There was initially no human present, isn't it? Indeed, but we read of Moses, that he was 40 days and nights with God on Mount Sinai. This was without food and drink, because God Himself kept him alive! Moses spoke with God face to face as with a friend. It is therefore very likely, that God gave also revelations about Creation to Moses. It is not for nothing, that the first 5 books of the Bible are attributed to Moses. Also this last is questioned by many. But what not of the holy things of God? Let us always put our trust in God before all! The Bible is full of glorious promises in this regard. Psalm 2: 12b: " Blessed are all they that put their trust in him." (King James Version). Since not all stones contain specific elements, not every dating method is suitable for the dating of all kinds of stones. Potassium-argon dating will be used mainly for the dating of igneous rocks and uranium-thorium dating mostly for the dating of corals and limestone. And the C-14 method is only suitable for fossils that have ever lived. It is clear that the stones and fossils do not all have the same composition. But further this proves nothing. At first really there are stones for which several dating methods can be applied. And then the results often vary greatly. Thus 4 different dating methods are applied for Cardenas Basalt in the Grand Canyon in America. (Namely, the potassium-argon method, the rubidium-strontium method, the lead-lead method and samarium-neodymium method). 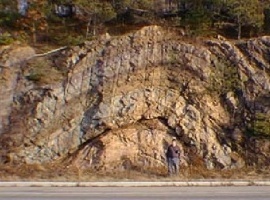 The results were respectively 516 million years, 892 million years, 1385 million years and 1588 million years. So the differences are much too large and are outside the acceptable error margins. And those things happen very often, if one applies different methods for the same subject. Generally they apply only 1 method in each case because of the cost. But what confidence can we still confer on that then? It can also happen naturally, that one finds a fossil in a certain stone. (Where else would they have to find a fossil? If a dead animal or dead plant is not enclosed fast enough by an impenetrable covering it decays!). It is therefore obvious then, that the fossil has almost the same age as the surrounding rock. One can try then to apply the C-14 method for the fossil and another dating method for the covering of stone. Especially in such situations the differences of the results may be dramatic! Each method has its own range: The C-14 method is only suitable for an age that is between approximately 300 years and about 60,000 years. And the K-Ar method is only useful from about 100,000 years to billions of years. So these methods can not check each other. apparently isochronous, cloak-isochronous, pseudo-isochronous, secondary isochronous, inherited isochronous, erupted isochronous, mingled line and mixed isochronous. With all these turns of thought they try afterwards to explain the differences in the results, but that is then after the fact. If the results are manipulated afterwards the reliability of the research is very questionable. The C-14 method had indeed to be adjusted. For previously the ratio C14/C12 in the air and the biological life was indeed different than it is today. Therefore they applied a gauging or calibration. This was done mainly through dendrochronology. By this they have compared the age of a large number of objects, whose age was already known, with the age which resulted from the C14 method. On this basis they have adjusted the C14 method. Whoever proves that this adjustment is sufficient? The objects, whose age was already known, will not have been so very old. For otherwise the alleged age can again be questioned. Furthermore one should be able to draw a graph. On the horizontal axis one set the time and on the vertical axis one set the ratio of C14/C12, as occurred in the air and the biological life. This graph we can only draw with certainty for the dates of the objects with a known age. But for the more distant past we totally do not know how the graph is going! Calibration is only possible, if we know that the graph is a straight line or is determined by a known mathematical formula. But there is not a single reason to accept that. It is much more likely that the graph is very irregular over the longer term. For the C14/C12-ratio in the air and the biological life is dependent on an almost infinite number of factors, such as volcanic eruptions and other events in nature. I mentioned already some examples. And as I said already it is very likely that people, animals and plants at the Creation had no C14 in them at all. For C14 is unstable and God had just created everything very well. In that case there is nothing to measure at all with the C14 method, if one finds fossils of something that lived shortly after the Creation. In later time after the Creation C14 will have been come into being in the air as a (indirect) consequence of the cosmic radiation. But we totally do not know how fast it was and with what fluctuations it coincided. We can speculate. But guessing is missing. 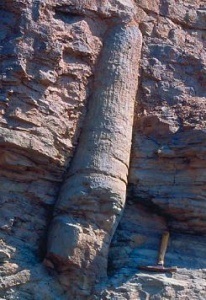 The Karoo Formation in Africa contains 800 billion (800,000,000,000) fossils. Throughout the whole world there are 100 times more fossils. On average they have the size of a fox. So in total there are 80 trillion (80,000,000,000,000) fossils worldwide. All animals, from which these fossils have been developed, can never have lived simultaneously on earth shortly before the Flood. Then they would be too close to each other and not able to find enough food. So the story of the Biblical Flood can not be true. Since this is a popular and frequently used argument for those who wish to contradict the biblical history, it is good to investigate this carefully. 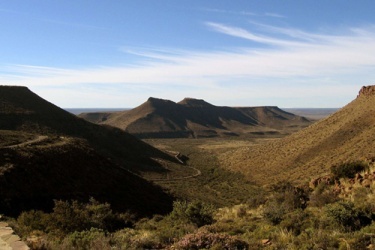 The Karoo formation (or Karoo plateau) in the south of Africa, which is 4 times as large as England (about 520,000 square kilometres), contains indeed many fossils. But there is no evidence at all that there are 800 billion (that is 800,000,000,000) fossils. Presumably this figure is highly exaggerated. The fact is that on average about 2 fossils per square kilometer have been found in the Karoo formation. So throughout this formation on average 2 x 500,000 = 1,000,000 fossils would have been found. (Only about 40,000 fossils have been collected). And now they accept without any reason that in reality under the earth there are 800,000 times more fossils, because most are still hidden. In this way they come to that figure of 800 billion. But there is not a single proof for that! Presumably this figure should be reduced dramatically. There are really in the Karoo region unusual many fossils. But how did this come into being? The Karoo formation is quite high. So if this formation already existed for a large part before the Flood, then many animals will have fled to this plateau at the approaching of the water of the Flood. So there arose a high concentration of animals and later of fossils. But there is not a single reason to accept that there is the same amount of fossils in the deeper strata (earth layers). It is even unlikely. For animals do not fly to lower areas, assuming that those lower areas were still accessible before the Flood. We must also always remember that fossils could only come into being, if the animals were buried by a new stratum (earth layer). The assumption that there are 800 billion fossils in the Karoo formation has come from Robert Broom in the year 1932. How did he calculate that? He knew that about one million fossils have been found in the Karoo formation. In order to keep down the number he made 200,000 of it (because that is 1 per square mile; he calculated with miles). 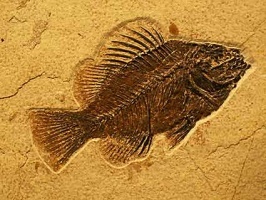 Next he stated that already alone close to the surface 1000 times more fossils should be. So he got the figure of 200,000,000. After that he stated that in the deeper layers still approximately 4000 times more fossils must be, because the average thickness of the Karoo formation is about 2000 feet (= 600 meters). In that way he got that 800 billion. And now mostly the geologists accept this simply as true, because it comes in handy for them. But this estimate is far from scientific. For the multiplication factor of 1000 for the upper earth layer is ordinary a case of fiction. And further we totally do not know how many fossils there are in all deeper layers. As I said above it is unlikely, that in the deeper strata (earth layers) are as many fossils as above those layers. In any case the concentration of the fossils will be fewer in the deeper layers. Of course not all earth layers have been formed in the time of the Flood. Some strata (earth layers) exist already from the Creation. 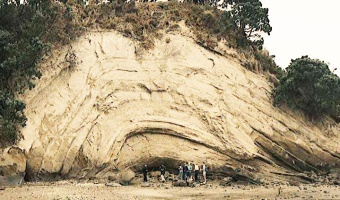 And other strata can be formed by volcanic eruptions. If fewer living beings were nearby at the time of a volcanic eruption, fewer fossils will be formed. Also by such an eruption fossils can arise, because also then living beings are suddenly covered with a layer of earth. But volcanic fossils are however of a different kind, because the heat changes the organism fundamentally. Note between this: Because Robert Broom initially reduced his estimate from 1,000,000 to 200,000 he seems to be extra credible for geologists and others! (If they at least still know that the calculation comes from him, and what he wrote about that yet before the Second World War). But after this reduction Broom multiplied his number without any proof by a factor of (totally) 4,000,000, to arrive thus at that 800 billion! Further there is absolutely no evidence that there are worldwide yet 100 times more fossils, so 80 trillion (that is 80.000.000.000.000). For often we do not know at all how many fossils are deeply hidden under a rock formation. And from the surface of the Karoo formation we can also derive nothing. For we do not know how large the area was where the animals came from, which took refuge on the Karoo plateau. This may be have been a large part of Africa. After all it has been known a long time that animals can make immense peregrinations of thousands of kilometres, if there is an urgent need for that. Also they can not say simply that the average size of the animals corresponded to that of a fox. For just the smaller animals are the most numerous. Think of small water creatures. In one liter of water those little animals can already swarm! So the average size of the animals of that time and that area will have been much fewer. By the way: The smaller animals have indeed a number of trillions! And also larger animals live sometimes closer together than the scientists held to be possible. This is the matter if some animals have few natural enemies, and themselves can find enough food. Overpopulation (or simply: a dense population) occurred in the past and occurs today. Think of the plagues in Egypt in the time of Moses. In short: This argument fails on all sides and does not refute the Biblical Flood at all. The biblical stories of the Creation and the Flood and the biblical chronology still give a very good explanation of what exists in this world and are in no way refuted by science, if we honestly deal with the science! And if these old stories at the beginning of the Bible are reliable, we may also accept that the biblical stories, which happened less long ago, are true. The Bible is a reliable book by which we get to know the Creator of the world and the whole universe! 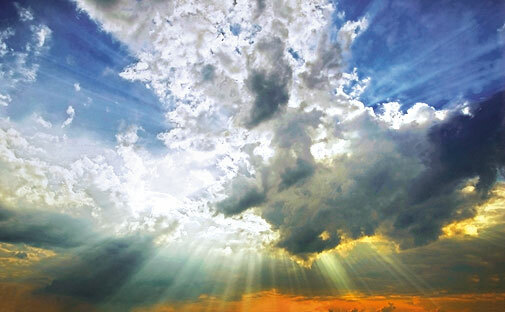 On the first day God created the light. In the next 5 days God created everything else. And God made everything perfect. So we may assume that the unstable C14 was not yet there initially. And then the whole age determination using the radio-carbon method does not hold anymore. So we can simply adhere to what the Bible tells us!